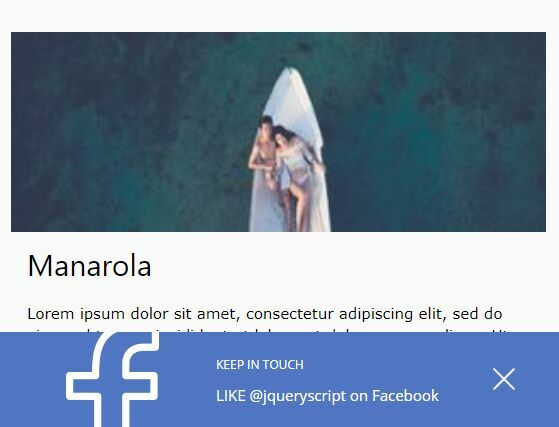 An easy yet customizable jQuery based floating social share bar positioned at the left or right of the page to maximize your social media visibility. The social share bar will automatically move to the bottom of the screen on mobile devices. 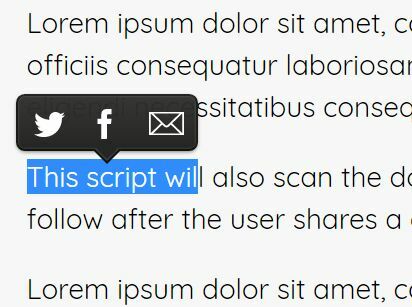 Custom width/height of social share popup. Custom page title, description, and URL to share. Circular and square social icons. 1. 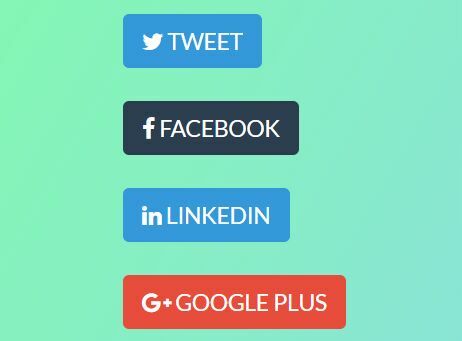 Include the necessary Font Awesome for social icons. 2. 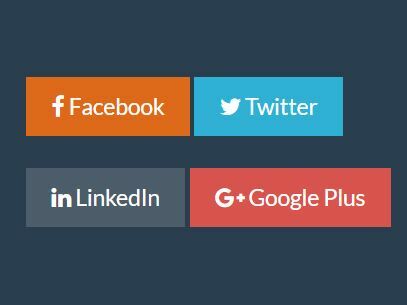 Include jQuery library and the jQuery social-share-bar.js plugin's files on the page. 3. 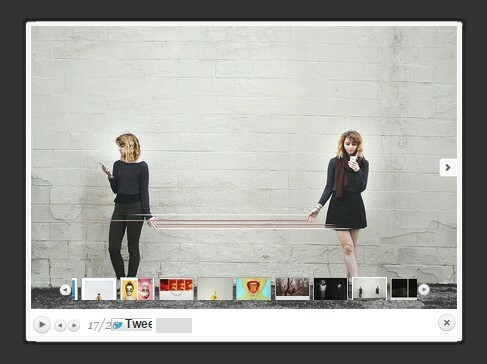 Create an empty container to place the floating social bar. 4. Call the function on the DIV container and done. 5. 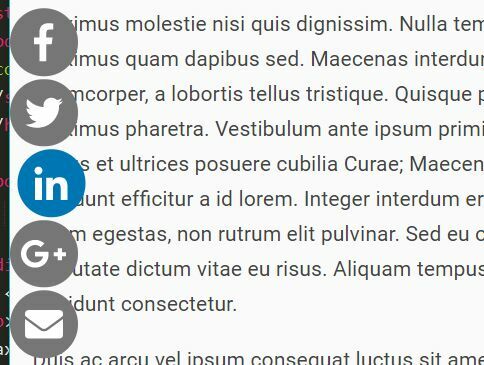 Customize the floating social share bar. This awesome jQuery plugin is developed by Viima. For more Advanced Usages, please check the demo page or visit the official website.